On Thursday or Friday of every week, I email “The Principal’s Page” to all of our Redeemer Families. It highlights how wonderful Jesus is to our church and school. It also gives insight into the fun and exciting things taking place at Redeemer. If you would like to receive a copy of “The Principal’s Page” in your email, please contact me. Otherwise, click the link below to see the latest happenings at RCS! 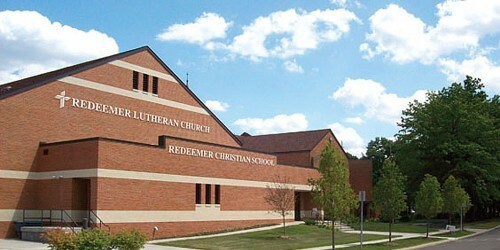 It is a blessing to serve the Good Lord here at Redeemer. I am daily amazed by the gifts and talents of the students here at RCS, and it is a pleasure to share God’s love with them each and every day. Everything we do is based on glorifying God through building relationships. It is the strength of those relationships that makes Redeemer unique. The partnership between parents, teachers, students and the rest of the community creates an environment where students excel and grow to reach their fullest potential spiritually, academically and socially.